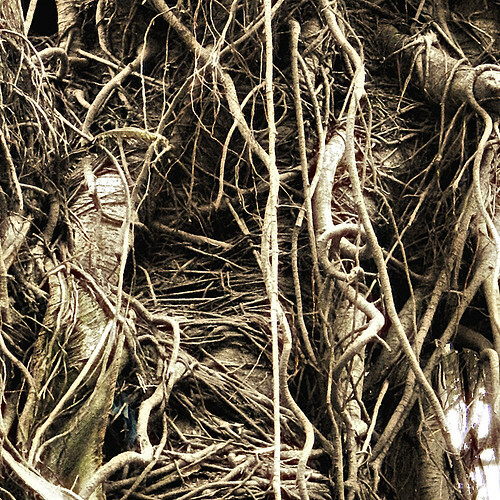 I saw my first Banyan tree in San Diego in 1976 and the first thought that came to my mind was to make a macrame art piece of it – Hey, it was 1976! 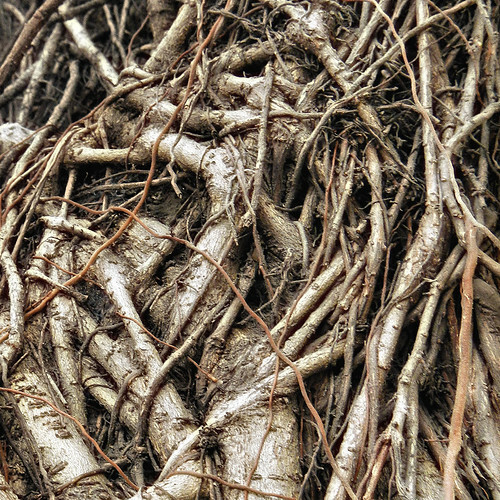 A Ficus benjamina, commonly called a ‘Weeping Fig’, with similar growth habits but shiny marquise-shaped leaves. 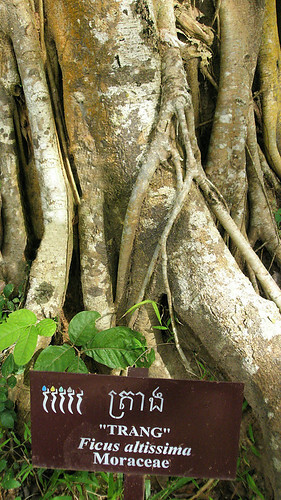 Ficus altissima, a twining tree known as ‘Trang’ in Cambodian (Angkor Wat, Cambodia). 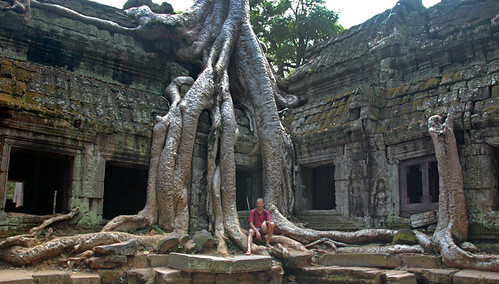 These massive tree roots intertwined amongst the temples of Angkor Wat may also belong to a ‘Trang’. 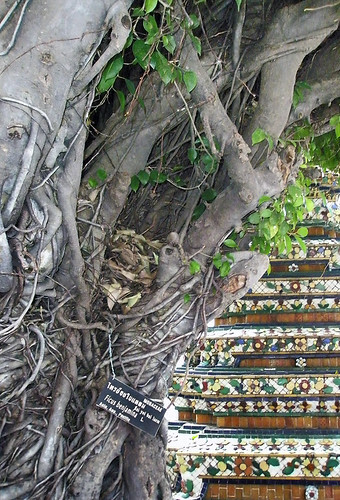 Wrapped Bodhi tree (Ficus Religiosa) at Wat Pho, a Buddhist temple in Bangkok, Thailand. 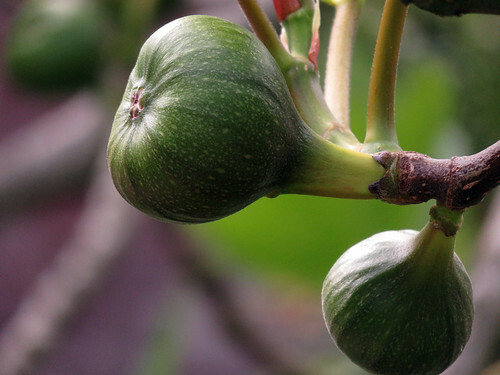 Not all fig trees have aerial roots to wrap around themselves: the Ficus elastica, better known as the Rubber Tree, produces rubber, and Ficus carica are the fig trees that produce edible figs. 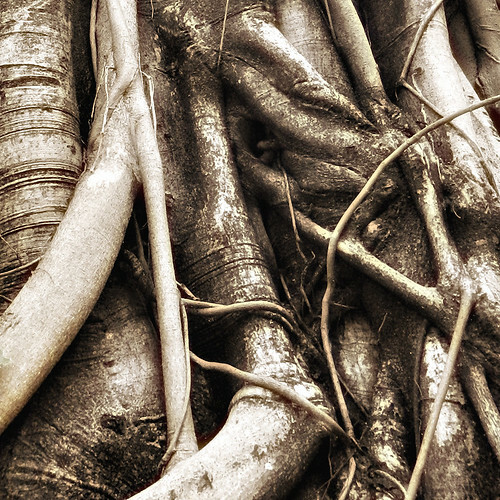 More of Lens-Artists Photo Challenge: Curves. Angkor Wat definitely did not disappoint. 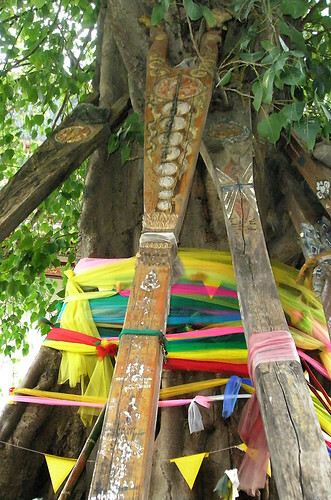 However I didn’t mention in this post that the most photogenic overgrown temples had queues of people waiting their turn at being photographed among the massive tree roots. When I think back perhaps the queues of people would have been a more realistic photo of travel today!